Central Coast Massage Body Therapist philosophy is that every person is unique with special needs that require individual attention to ensure they are feeling mentally, physically and spiritually nurtured. With a goal to provide people with the opportunity to have their individual needs addressed through the experience that massage and other forms of bodywork therapy provide. 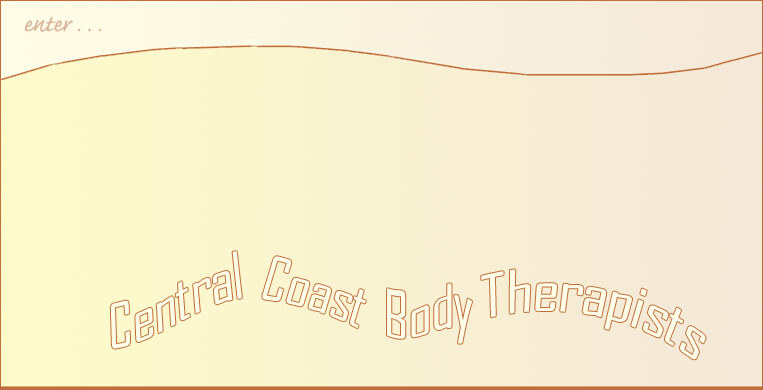 You can be assured that Central Coast Body Therapists can provide you with personal attention for your mind, body and soul. Central Coast Massage Body Therapists clinic and massage college has been in the business for over 25 years combined offering massage and other natural health remedies with beauty & day spa therapies, relaxation and self growth courses and treatments. They also offer on the Central Coast and the East Coast massage bodywork training, hot stone, shell and bamboo massage courses (buy hot rock kits) and workshops in massage body therapiesdayand spa body treatments - Central Coast, Green Point, Kincumber, Erina, Terrigal, Avoca, Gosford, NSW Australia. Our Central Coast Massage School, Day Spa therapy, Massage & Spray Tanning clinic is located near Erina, Terrigal, Avoca Beach, Gosford & Kincumber on the Central Coast NSW Australia, Central Coast Massage Body Therapies is much sought after on the Central Coast for Massage Courses, day spa body treatments including remedial massage, sports massage, therapeutic massage, hot stone treatment, pregnancy prenatal postnatal massage, body exfoliation, body scrubs & wraps, exotic facials, myofascial release, metamorphic technique, aromatherapy, balinese body treatments & palming, oriental therapies, shiatsu, traditional Chinese massage TCM, ayurvedic treatments, shirodhara, thai herbal spice bag massage, trigger point therapy, functional & positional release and muscle energy techniques, warm bamboo massage, Oztan spray tanning, stress management, integrated body therapies, beauty treatments, kinesiology, polarity energy balancing, lymphatic drainage, harmonic balancing technique, crystal & colour therapies, aura & chakra balancing. Needing additional massage skills, help organising evidence for RPL to update your Diploma in Remedial Massage or just needing assessment for a correspondence course. Book your massage courses, pamper parties and pampering massage for group boookings with a mobile services to most areas on the central coast offering massage, facials & mobile spray tanning. Central Coast Massage Body Therapies located at Green Point NSW, near Gosford, Kincumber, Terrigal and Erina. Only one hour from Sydney and Newcastle. They also teach CPE workshops along the east coast of Australia including Sydney, Wollongong, Port Stephens, Forster, Port Macquarie, Newcastle and Coffs Harbour. If you have a group ask them about their interstate CPE courses to Queensland, Victoria, Melbourne, Adelaide, Tasmania, Western Australia, Perth and Canberra. Their Massage School offers industry training and workplace training across the Central Coast of NSW Australia. They also offer their services mobile to both corporate and community groups for Central Coast massage, Central Coast day spa therapies, Central Coast beauty and Central Coast massage & day spa cpe course training with a strong client base in many areas including Sydney, Gosford City and Wyong Shire. Their expertise in massage and day spa therapies extends to include crystal & colour therapies, thermotherapy hot stone treatment, body exfoliation scrubs & wraps, exotic facials, metamorphic technique, aromatherapy, spray tanning, ayurvedic treatments, kinesiology, energetic balancing, pregnancy massage, lymphatic drainage, myofascial release along with balinese body treatments & palming, infant massage instruction, oriental therapies, shirodhara, lava shell massage, lymphatic drainage, Bamboo massage, Esoteric Healing, shiatsu, ear candling, chinese cupping,reiki. They do extensive training in Post Graduate Massage Courses for CPE points Hot stone massage Courses (rock kits for sale), bodywork massage modalities, and Day Spa Therapies. Experts in Warm Bamboo Massage Sydney, Newcastle, Melbourne, Adelaide, Perth, Brisbane Queensland. Their expertise in Remedial Massage includes trigger point therapy, Myofascial release, functional release, positional release, and muscle energy techniques using stretches and exercises for complaints such as frozen shoulder, sciatic nerve, SIJ Dysfunction, headaches, stiff neck, stress, lower back pain, tennis & golfers elbow, knee injuries, arthritis, tendonitis, tension, depression, menopause, computer related ailments, repetitive strain injury. Workcover and medical health fund rebates are available. Other services they offer are corporate workplace training and community workshops in massage therapies along with natural alternate health remedies. Please feel free to call anytime to discuss any issues you may have. The clinic is located at 27 James Sea Drive, Green Point which is centrally located near erina on the Central Coast NSW.